*Mother Wit, on-air personality of the Morning Glory Gospel show, was the Celebrity Guest Host of the 2006 Memphis BWC Prayer Breakfast . *Representative Joe Towns, Jr. (D-TN) Tennessee House District 84, is a childhood and long-time friend of our Special Prayer Breakfast speaker, Jason Miccolo Johnson. Rep. 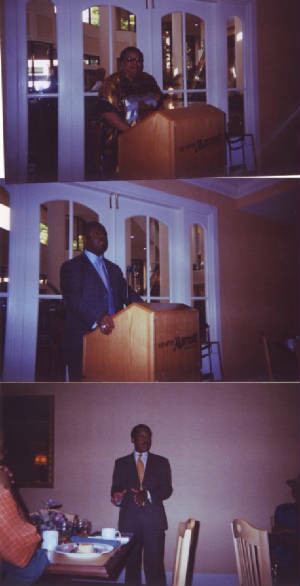 Towns had the honor of introducing Mr. Johnson at the 2006 Memphis Black Writers Conference Christian & Inspirational Writers Prayer Breakfast at the Downtown Marriott Hotel in April 2006. *Jason Miccolo Johnson is a nationally known award-winning documentary, editorial, and fine art photographer. He was the keynote speaker at the 2006 Memphis BWC & Southern Film Festival Christian & Inspirational Authors Prayer Breakfast. Mr. Johnson also signed his new book entitled: 'Soul Sanctuary: Images of the African American Worship Experience. Jason was honored with the 2006 Memphis Black Writers Conference Photographer of Excellence Award. Dr, Sheila Carpenter, Jason Miccolo Johnson, Angela Marie Hutchinson, Vincent Alexandria, Marc Lacy, Angela Rixter Kelley, Emanuel Carpenter, Brian Davis, Dr. Maurice Henderson, Cali Starks, Michaelyn Oby, and Connie Barrett. Other guests not shown include: Michael DeShazer II, Phyllis Dixon, Levi Frazier, Ernest Martin, Deborah Lintz-Hill, Tia Dionne, and M. Desgouttes. The Memphis BWC Advisory Board at one of our luncheon meetings. The members include: Shirley, Phyllis, Levi, and Angela. Michael DeShazer II, is the 17 year old author of his first published novel, a political thriller, entitled: "The Wade Scandal." Michael arrives at the Peabody Hotel to attend the Memphis BWC with his sister via limo. Michael also participated on a panel of writers representing the youth. 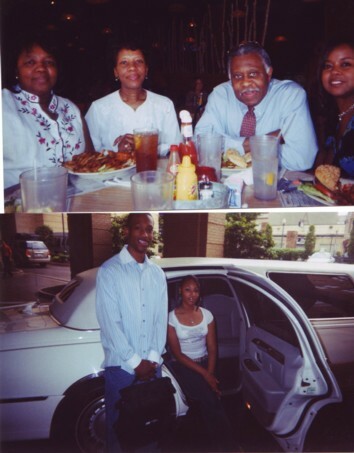 Mr. Sherman Kilimanjaro, owner of the Great American Cruises - Travel Agency, is a proud sponsor of the 2006 Memphis Black Writers Conference & Southern Film Festival.